Last Monday, my kids went back to school. My 13 year old daughter started 8th grade, and I have the morning run, taking her to her new school which is 20 minutes away from my house. I will be making the drive nearly every weekday until next June. Seeing the I will be driving through beautiful Sierra Nevada foothills, and I am always looking for great light and new photographs, I might as well work on a new theme. I plan on calling the portfolio Morning Light. 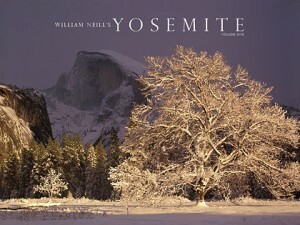 For nearly five years, I drove into Yosemite Valley from El Portal to go to work at The Ansel Adams Gallery. And back down the canyon again at the end of the day. What a blessing. I remember that I had no problem getting up early to make that drive, so that I would have time to photograph if so inspired. Well, I won’t have that option on this “morning run,” since we have to leave the house by 7:30, but on my return home, I will have time to photograph. 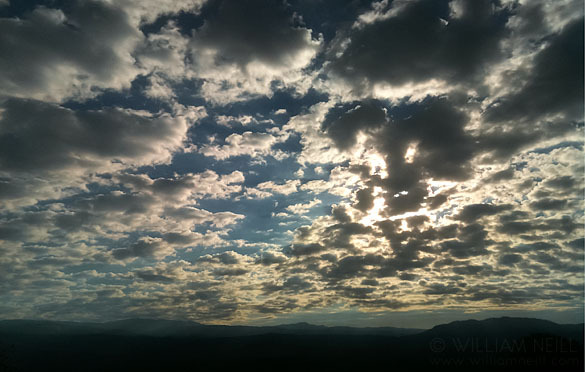 The photograph here was made with my iPhone – three frames stitched together in Photoshop – on my drive home. This view looks east towards the Ansel Adams Wilderness and the Sierra crest. On this first day of school, I had left my 1DS Mark III behind, unfortunately. I won’t make that mistake again. However, with the extra quality from three iPhone files stitched in PS, and the wonderful Noise Reduction in Lightroom 3, the file would make a very good small print. From now on, my camera bag will be packed when I go to bed, and ready for my morning shuttle service, and my search for morning light. Let’s see what I can come up with over the next ten months. I’ll keep you posted! Please check out my web site for information on online and private workshops, posters, books and ebooks, and list of galleries that represent my fine art prints. I am posting one of the waterfall photographs that I took on Mother’s Day in Yosemite. It was raining as I photographed. Using my Tilt Shift lens, I exposed three frames that I later stitched together using Photoshop CS5. You might also enjoy seeing other panos in my Panoramic Portfolio on my web site. This weekend, I photographed my irises and fields of lupine. Hope to post some of them soon!